Yesterday Alabama left no doubt who was head and shoulders above the rest of the Southeastern Conference with a 54-16 mauling of SEC east champion Florida. At times Alabama looked sluggish on offense in the first half but still found a way to hold a 33-16 lead at halftime. 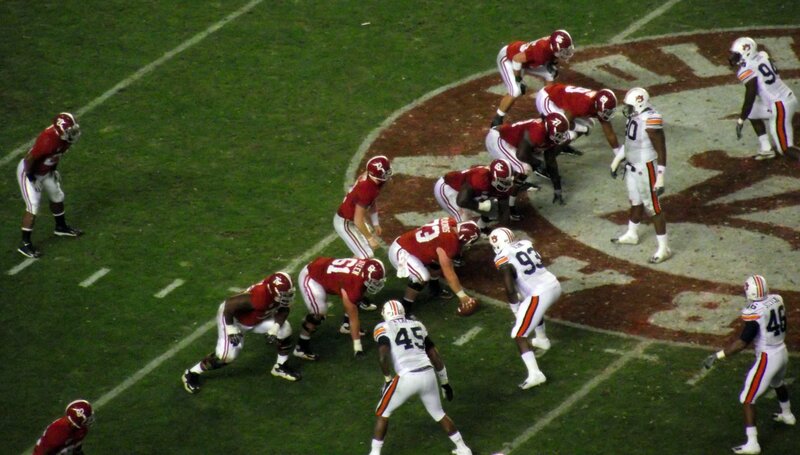 The second half the Crimson Tide dominated both sides of the ball out scoring the Gators 21-0 in the second half. Alabama ran up more points on Florida with 54 than anybody since Nebraska scored 62 on them in the 1995 Fiesta Bowl national title game. The Southeastern Conference was founded in 1933 when thirteen teams left the Southern Conference to form their own conference. Ten of those charter teams still remain with the conference. Three teams left the conference over the years that were charter members, Sewanee, Georgia Tech and Tulane. The ten charter members that remain with the SEC today are Alabama, Auburn, Florida, Georgia, Kentucky, LSU, Mississippi State, Ole Miss, Tennessee and Vanderbilt. Alabama won the first of their 26 SEC titles in the first year of the conference existence in 1933. Since then Alabama has followed up with SEC titles in 1934. 1937, 1945, 1953, 1961, 1964, 1965, 1966, 1971, 1972, 1973, 1974, 1975, 1977, 1978, 1979, 1981, 1989, 1992, 1999, 2009, 2012, 2014, 2015, 2016. As a testament to the consistency of the Alabama football program, the Crimson Tide has won an SEC title in every decade since the founding of the Southeastern Conference. Alabama now has twice as many SEC championships with 26 as the team in second place which is Tennessee with 13. Below is a list of all of the past SEC champions. Chart provided by Wikipedia.